’tis the season… for Champagne of course! Champagne reigns as the gift-of-choice during the holidays, and for good reason. True Champagne, the real stuff from the actual region of Champagne; there is nothing like it. Just drinking it ignites all of your senses. It reflects joy, celebrations and happy gatherings of friends and family. Should you choose to stock up on Champagne this season (and I hope you do) think of this as your cheat sheet on buying the ideal bottle, whether it is for you or for a gift. Some wines have all 3 grapes, some have only one or two. • Blanc de Noirs – means “white of black” and is a white champagne made from either Pinot Noir or both Pinot Noir and Pinot Meunier (both red grapes); usually fuller-bodied than blanc de blanc, this style enjoys the ability to match with a variety of foods. • Rose – could be only one grape or all three, but must contain some % of a red grape – that’s where it gets the pink color! Also a great match with food – and good for any reason you might be in the mood for pink. Non-vintage wines are exactly what they say they are – not from a particular vintage. They are blends of a few wines from different years. Remember, Champagne begins as a blend of still wine. If the Chardonnay of 2011 is not acidic enough, they’ll pull some of the 2010 or 2009 Chardonnay and blend it in for acidity. The goal is consistency. So that the NV of Veuve Clicquot you buy this year will be consistent with the one you bought last year. Most NV Champagne represent a house “style” that the winemaker tries to maintain so that the consumer knows what they are getting. NV wines should be drunk within a year or two of purchase. Some years the vintage is so delightful that the houses of Champagne declare a vintage year. The blend is made only from grapes in that vintage – no adding of back vintages allowed. Vintage wines are low in supply and high in demand, and therefore a bit more pricy than that NV. Most vintage champagnes can age about 10 to 15 years, sometimes longer. 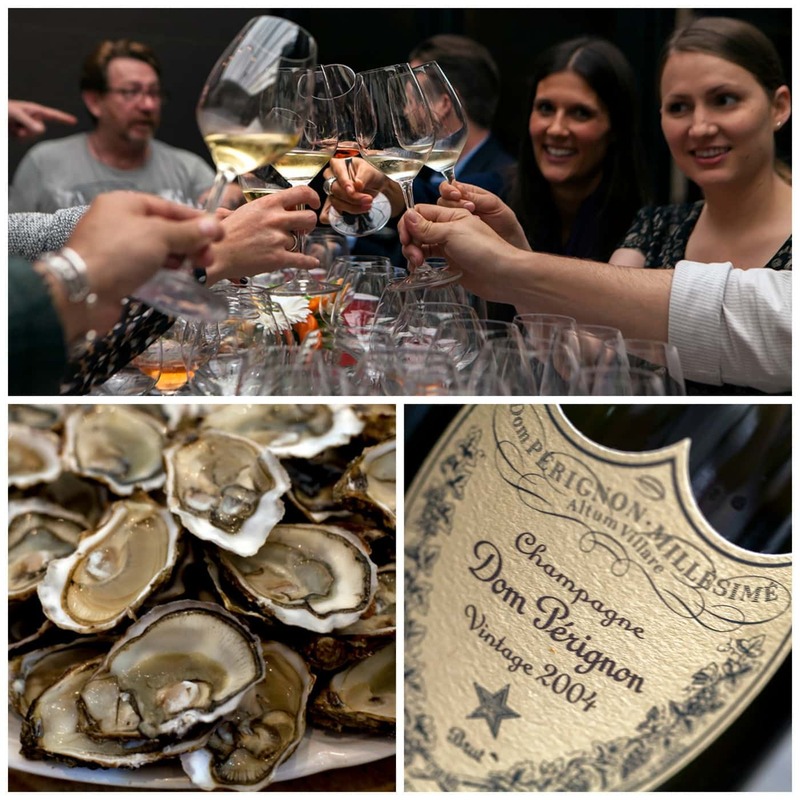 Some houses don’t even release their Champagne until 10 years later because of the amount of bottle aging they prefer – Dom Perignon released their 2004 vintage about the same time Krug released their 2000.